Leading by Example: Best building Maintenance. 28 Jan Leading by Example: Best building Maintenance. Leading By Action: Supporting Healthier and Livelier Communities and provide best building Maintenance. 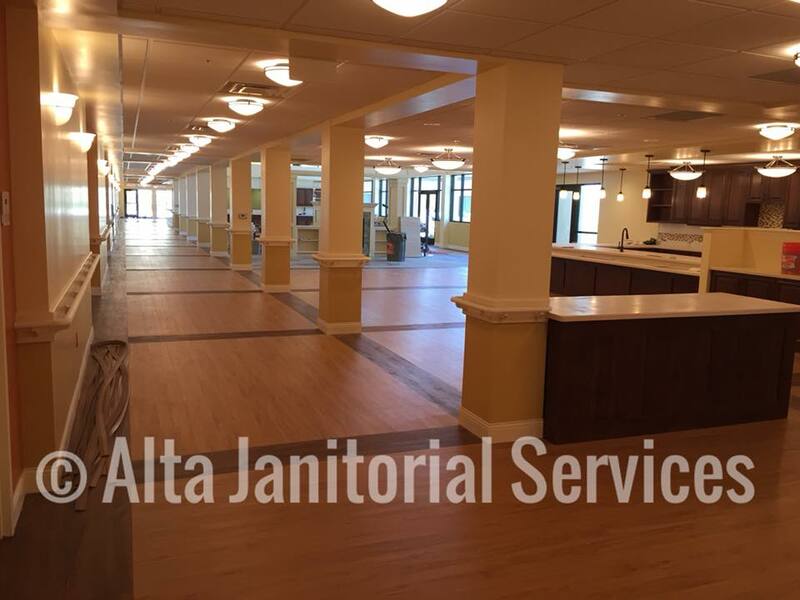 Alta Janitorial Services is an active stakeholder in all the communities of all states we work in. Being a leading building maintenance services provider gives us the opportunity to meet different people; those who work in these buildings, and those we employ to provide the services needed to keep these buildings clean and presentable. We recognize that there are many families looking for opportunities to put food on the table. That is why we employ people from the local community for our building maintenance. Our employees and contractors get further training such that they improve their employability and earning potential. We sponsor local food banks by direct donations and matching them with those we work with. As cleaning services providers, we work with different restaurants and food industry players. We know that there are less fortunate members of the community who would benefit from the food that goes to waste. We believe it is our duty to ensure that no one goes hungry while there is still plenty to go around. We believe athletes are important role models for the youth in our communities. That is why we have put in place an athlete sponsorship program. We are proud of sponsoring US Olympian Kelly Gunther, who was in 2014 winter Olympics representing the US in ice skating. She will be competing in Pyeongchang, South Korea 2018 winter Olympics. We believe that by playing our part as employers and workers in the community, we set to bring in positive change to show that even humble jobs like cleaning services can make a huge difference in people’s lives. Why hire our building maintenance services? By hiring Alta Janitorial Services, you enable us to continue playing our corporate social responsibility role for the good of everyone. We offer topnotch cleaning services, building maintenance services and janitorial services. We are the number 1 cleaning services subcontractor in the six states we work in. Our professional crews always ensure efficient, timely and cost-effective service delivery. Hire us and you will not be disappointed. By hiring us, you will be indirectly doing a service to the community as we are able to continue with these noble community initiatives.